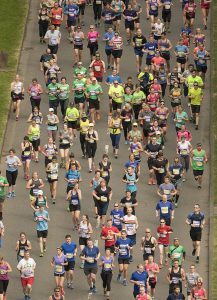 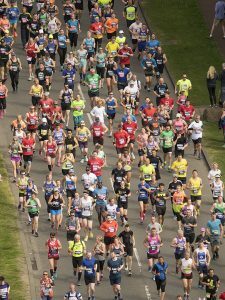 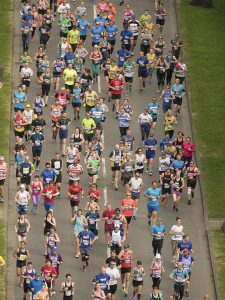 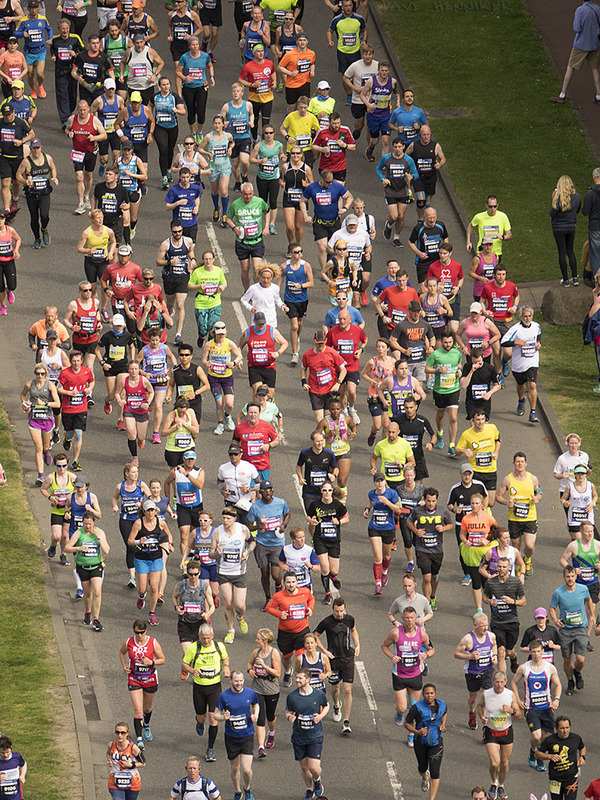 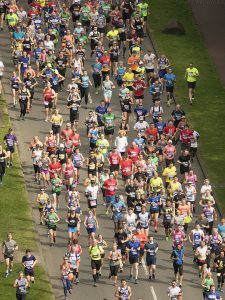 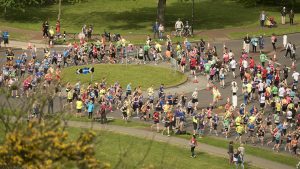 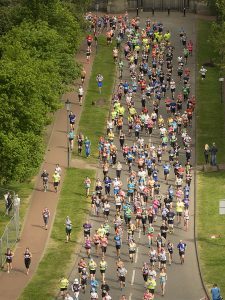 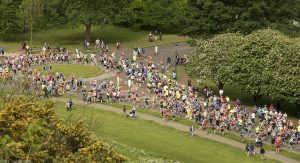 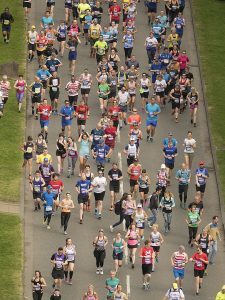 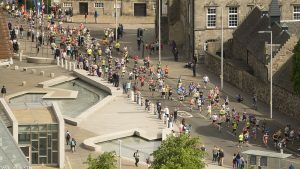 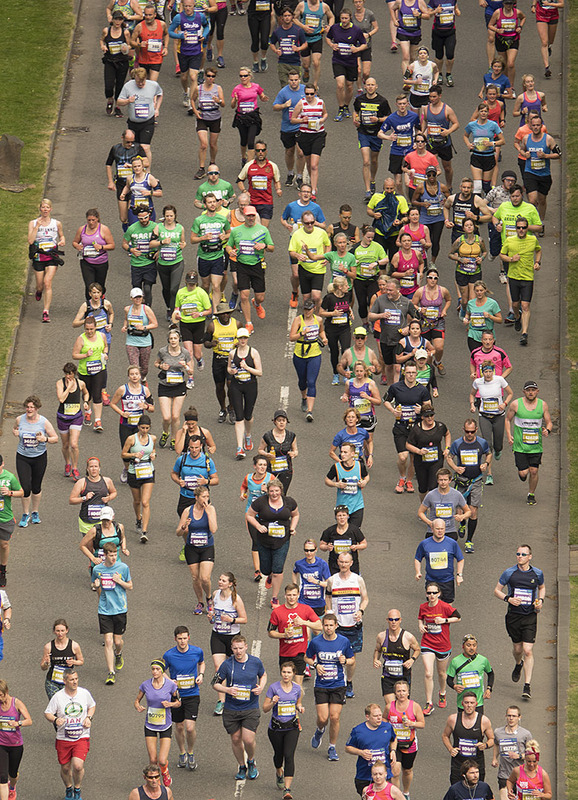 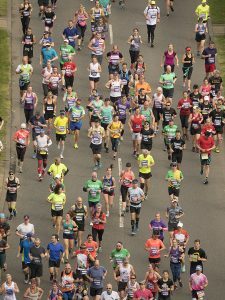 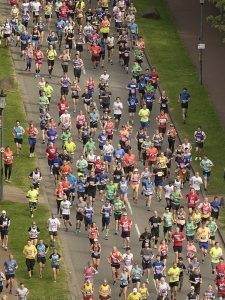 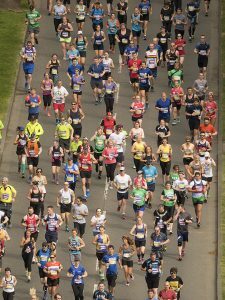 2017 May 28 Edinburgh Marathon. From my vantage point on Radical Road. 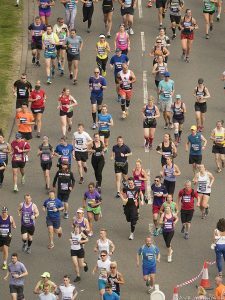 One runner inspects the hedge at Regent Road. At the right is New Calton Burial Ground (photos on the Calton page). 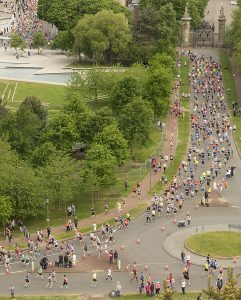 Still waiting for the marathon to start. 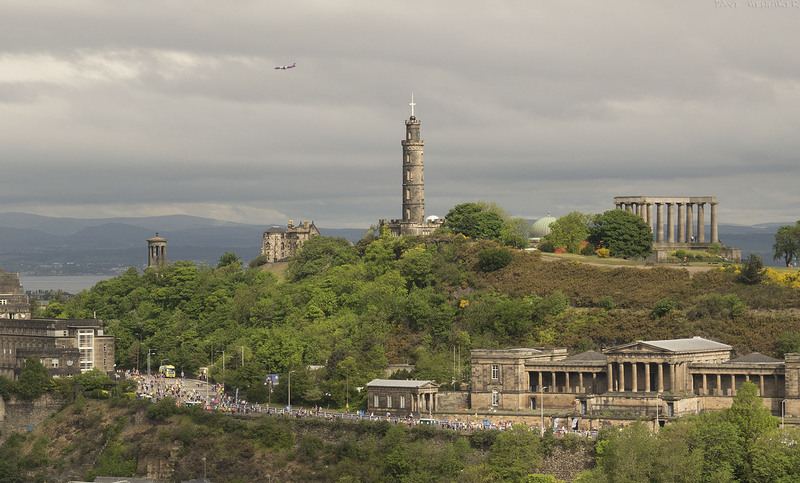 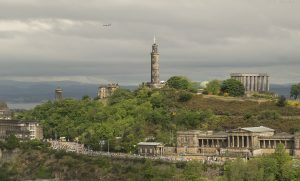 A wider shot showing Calton Hill and the old Royal High School. 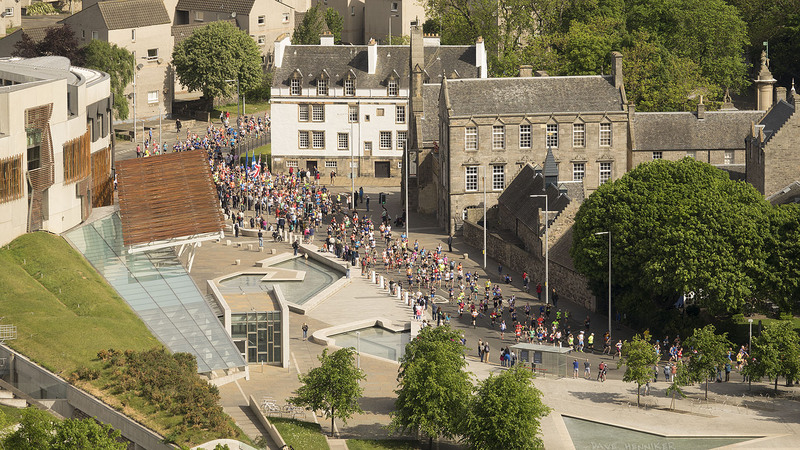 The first runners to come along Horse Wynd past the Scottish Parliament. 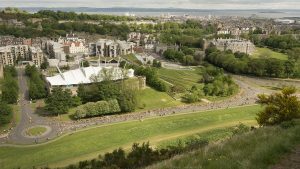 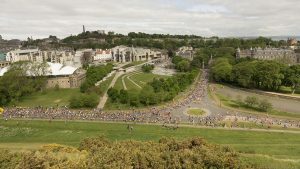 A wide view of the scene featuring Dynamic Earth, Parliament and Holyrood Palace. 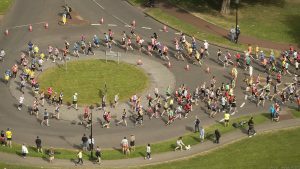 Participants must go round the leftmost roundabout before heading in Meadowbank direction. A letterbox shaped picture of this section of Queens Drive 1920 x 482 pixels. Zoomed in for a closer look. The bottom of the Royal Mile (Abbey Strand) is on the right. 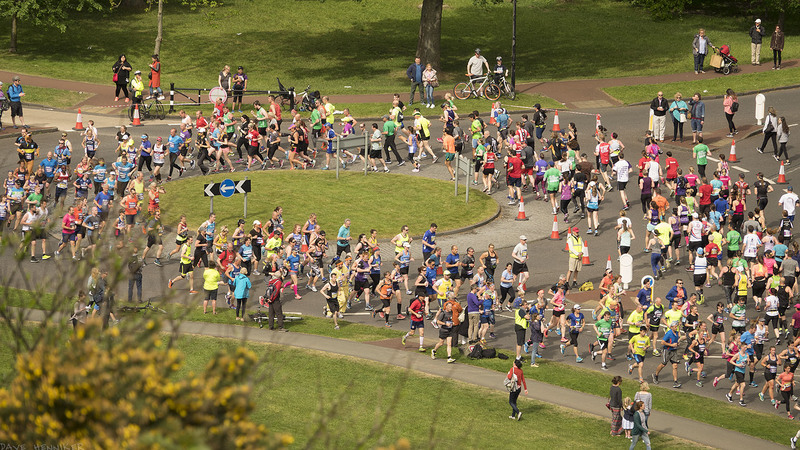 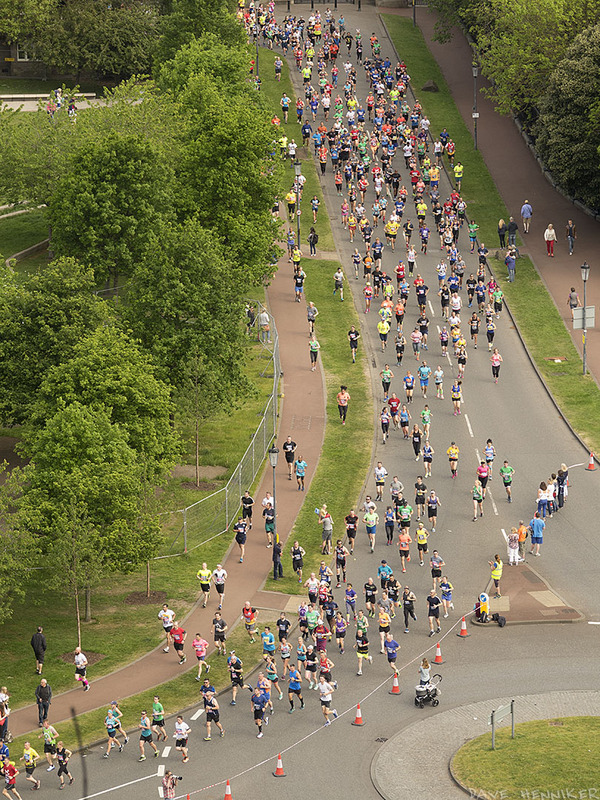 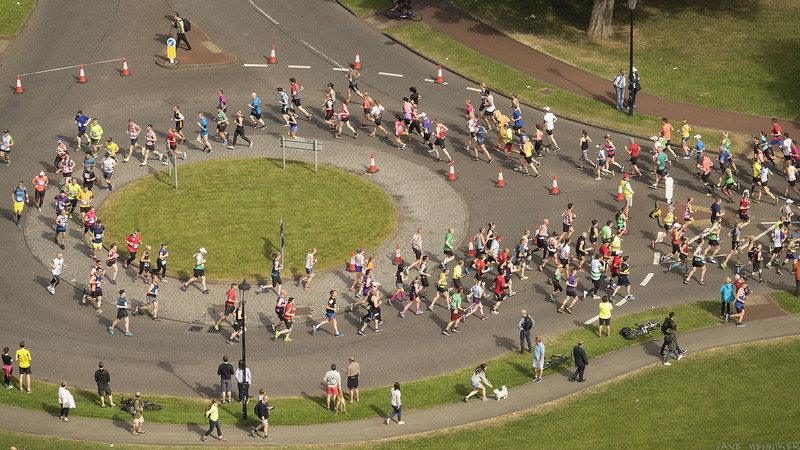 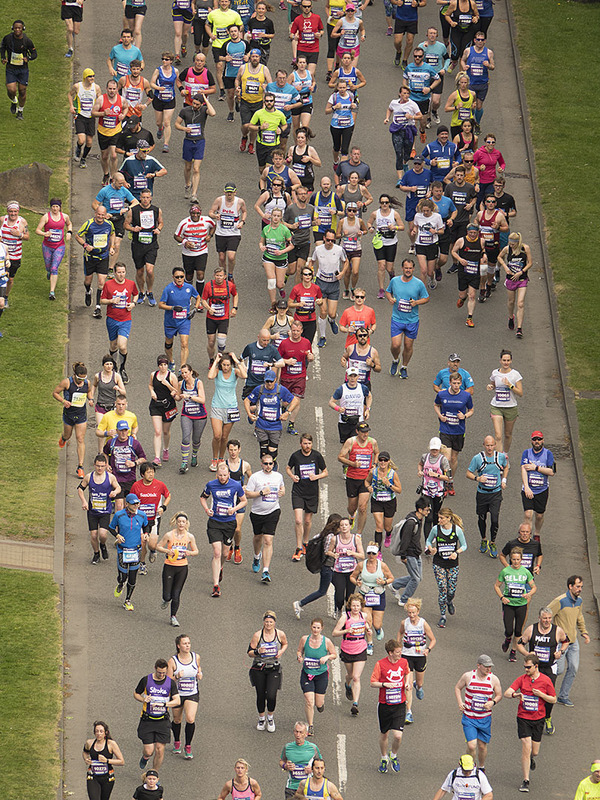 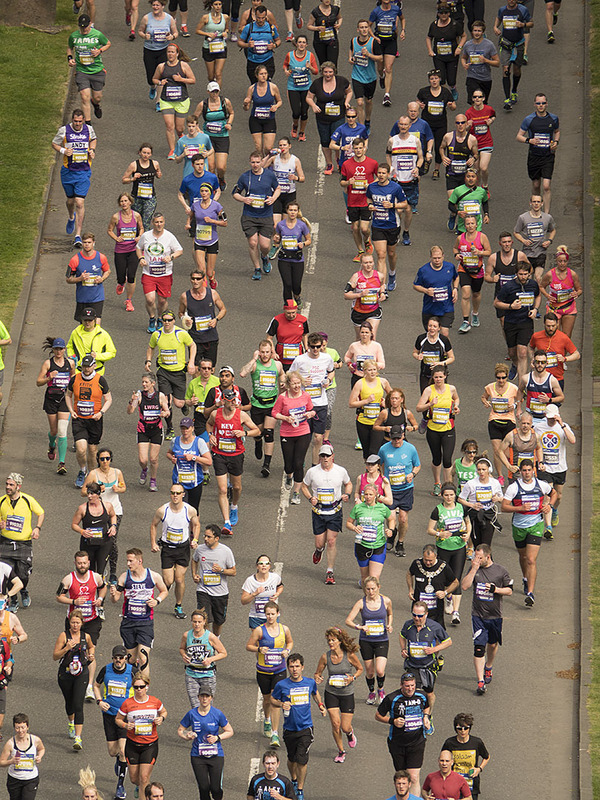 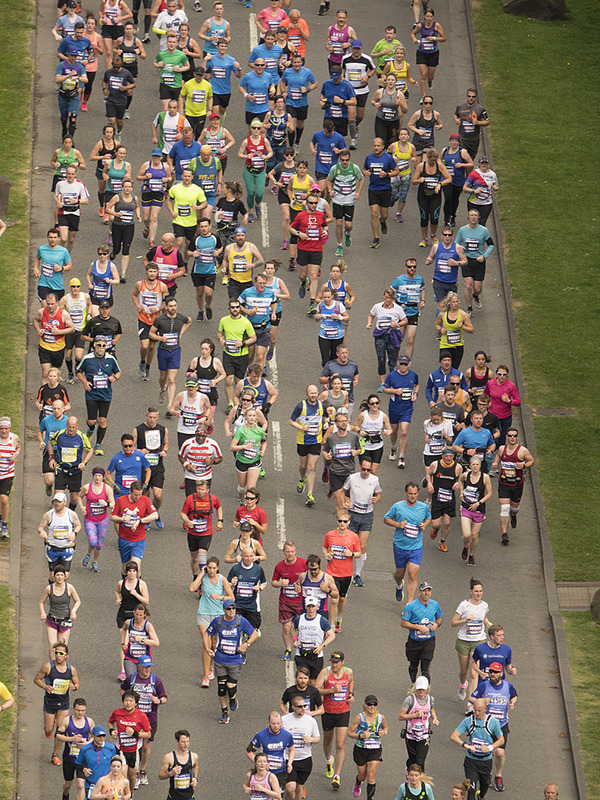 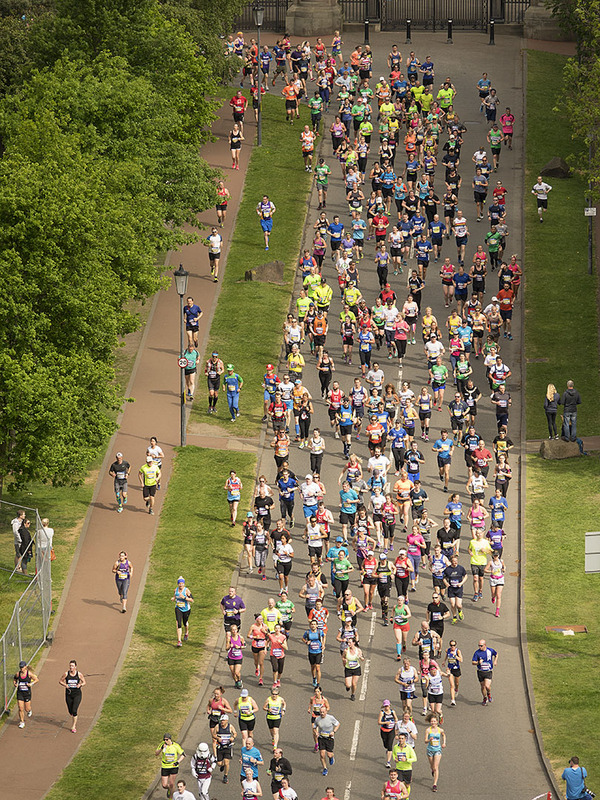 The first of two shots of runners circling the roundabout. 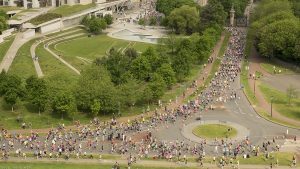 There is also a short video of this. 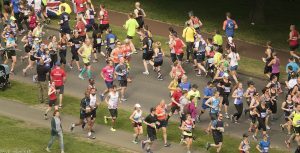 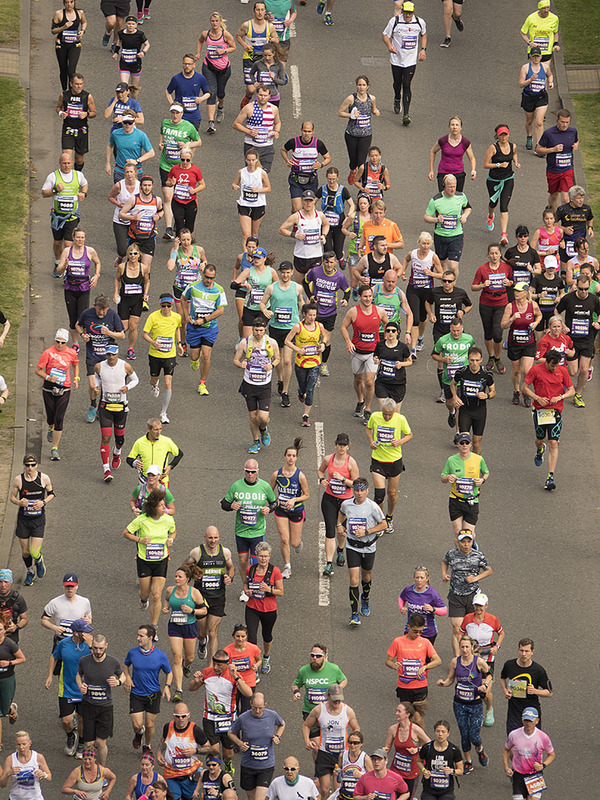 At top left runners pass Parliament. 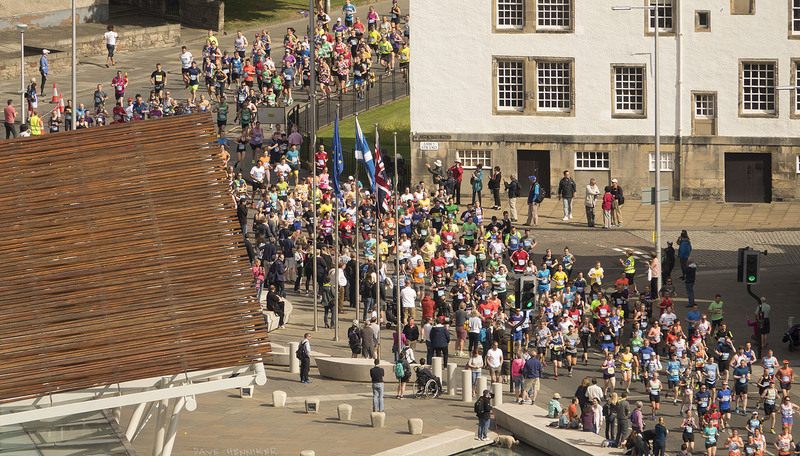 At top right they pass Holyrood Palace gates. 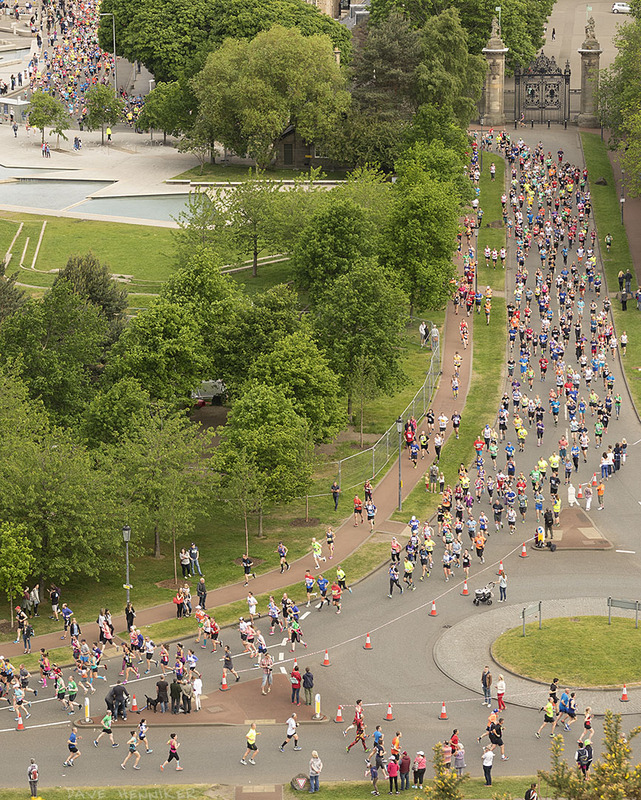 Another view of that roundabout from lower down. 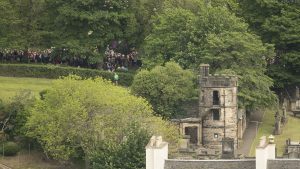 A wider view of the scene from lower down Radical Rod. 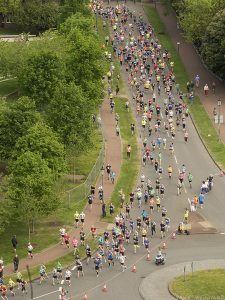 The final photo I took of the 2017 Edinburgh Marathon.